My first visit to Euskal Herria was a year spent in Donosti, trying to learn Euskara Batua and Spanish. Since then, however, as my dad’s family lives in Bizkaia, my visits have taken me more to Bilbo. I got a chance to visit both again last week, and both are wonderful cities to visit. 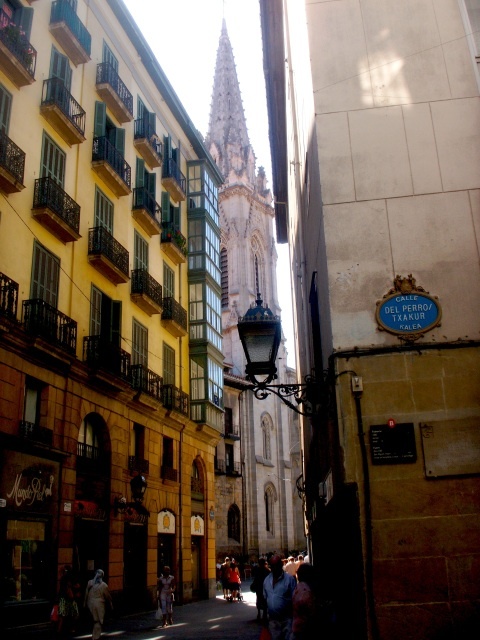 I spent a day in Bilbo, wandering the streets especially of the Casco Viejo, but also along the Nervion from the Teatro Arriaga to the Guggenheim. Bilbo has definitely changed dramatically over the last few decades. Once an industrial city, Bilbo has worked hard to clean up the river, the streets, and reinvent itself as a tourist destination. 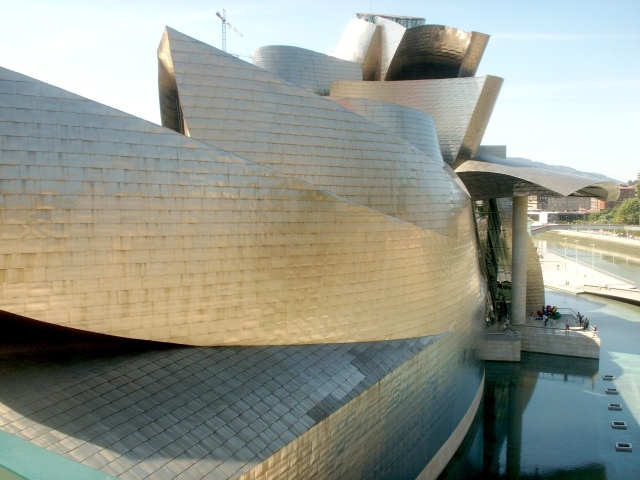 Of course, the Guggenheim is the pearl in that renovation, though it continues with new apartment buildings, a new metro system, a light rail system, and, just announced, a new stadium for Athletic Bilbao. The charm, however, remains in the Casco Viejo, with the Siete Calles and all of the shops and bars that line the streets. It is a maze of winding streets, and I found myself going in circles more than once. Even though it is the biggest city of Euskal Herria, it is still very walkable. I parked in the center of the city and walked to the Casco Viejo, back to the Guggenheim along the river walk of the Nervion, and back to the Teatro Arriaga to meet a friend within a half a day. When I was there, it was very hot, so that damped the experience just a little, but still, it was a great visit to a wonderful, and increasingly beautiful, city. 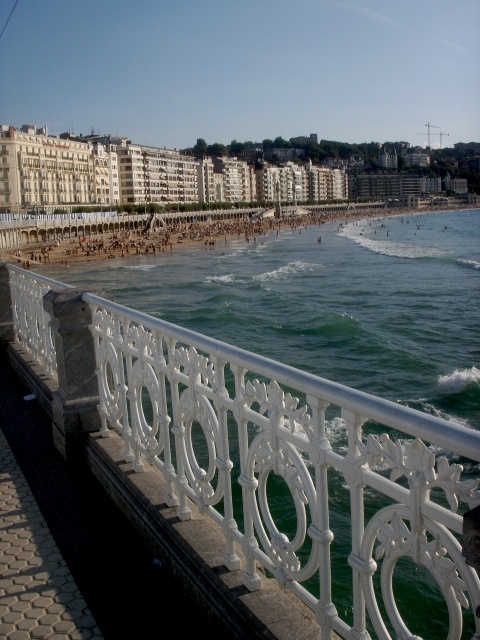 Later in the week, I spent a couple of days in Donosti, visiting the Donosti International Physics Center. So, during the days, I was working with the great people at the DIPC. However, in the evenings, I was able to meet with some old friends from my days in Seattle, Gonzalo and Aitor, and we spent our time wandering Donosti. My first impression was that, despite all the great improvements Bilbo has made, there is something magical about Donosti, something incomparable. We wandered along La Concha, just taking in the atmosphere of the place, including a great band that had just set up on the walk. After a beer, we ended up in La Parte Vieja, which has an incredible number of bars and thus “marcha”. The second night, we further wandered to Gros. When I lived there, Gros was the beach that was the most polluted and only surfers tended to go there. Since then, it has been cleaned up and is now one of the more expensive areas of Donosti. Of course, there aren’t the tremendous changes that Bilbo has experienced (though, the area around the Cathedral has been made a pedestrian friendly center since the time I was there). I left via Mount Igueldo, as I had never been up there before, and the vistas are definitely stunning. To me, these two cities are two sides of a coin. 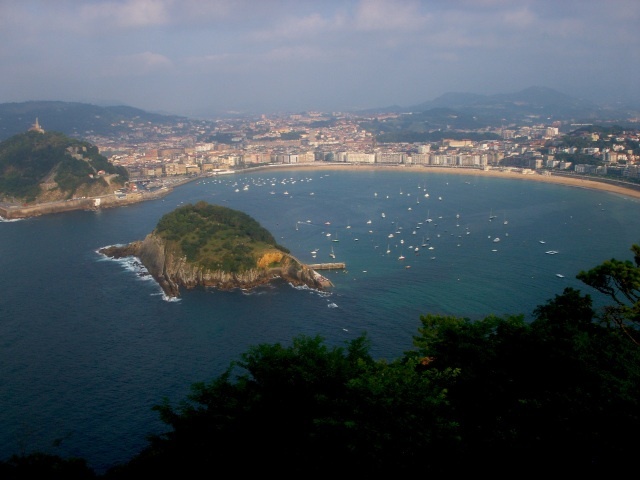 Donosti is steeped in majesty, a resort by the sea that has been host to royalty. It’s beauty is timeless. It represents the grandeur of Euskal Herria. Bilbo, on the other hand, is a city that is redefining itself and, as such, represents the metamorphosis that is occurring in the entire country. A city that was once a steel powerhouse is reinventing itself to be modern business center and a tourist destination rivaling Donosti. It thus has a foot in both the industrial past and the technological future. Euskal Herria is not one or the other, it is both of these cities and all that they represent. (The Basque countryside is also an integral aspect of the Basque experience.) A trip to Euskal Herria would be incomplete without a visit to both of these glorious cities. Though, I have to admit, for me, there is something special about Donosti. You write beautifully, and now I want to go back to Euskal Herria! Hey Blas, you are right, there is something magic about Donosti and this comes from a Bilbotarra! I like your writings and always try to read them when possible, but I have to admit I am sad not to see anything written about Gasteiz (as far as I am aware of). Despite general belief, this town has also something to offer for those travelling around the Basque Country. Give it a try someday, I am sure you will be surprised! Hi Gaizka. Thanks for the note. To be honest, I’ve only been to Gasteiz once and it was a very brief visit, so I know next-to-nothing about the city. I will take your advice and try to spend some time there next time I visit Euskal Herria. 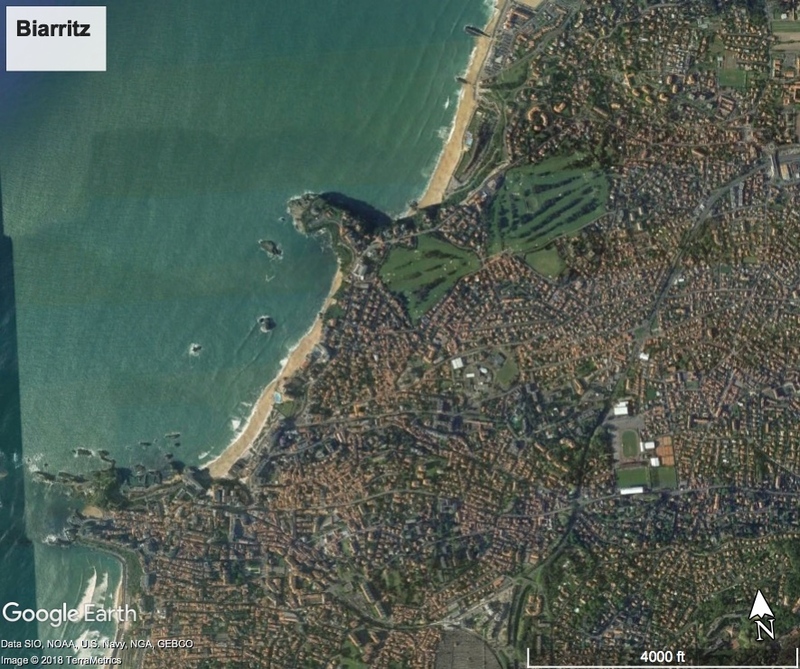 I also don’t know the cities of Iparralde very well at all, having just visited Baiona and Biarritz. Much yet to see.